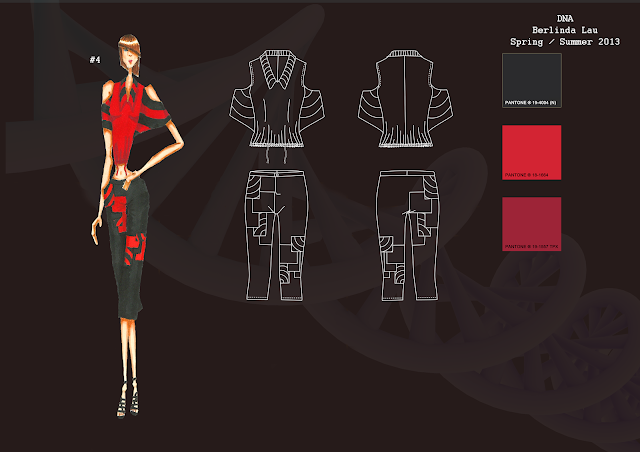 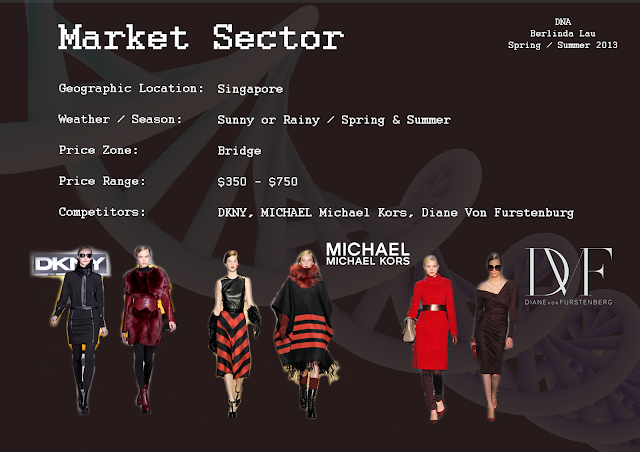 A fashion design graduation portfolio designed during April 2012. 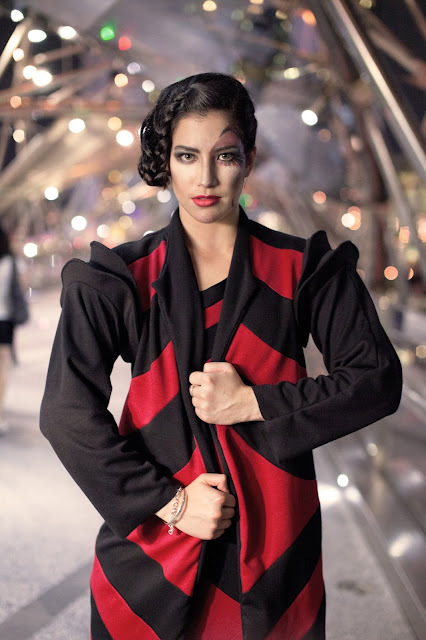 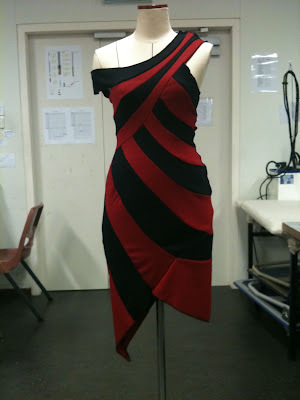 This collection theme is based on one of the famous English Fashion Designer, Gareth Pugh, as part of an inspiration. 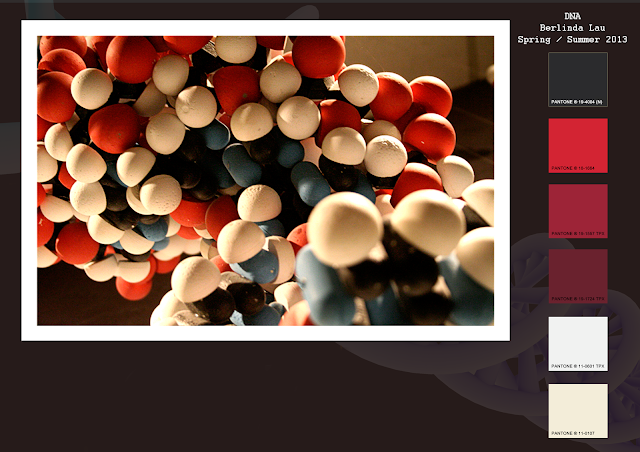 Another element of the inspiration is DeoxyriboNucleic Acid (DNA), an entwined thread-like structure of double helix. 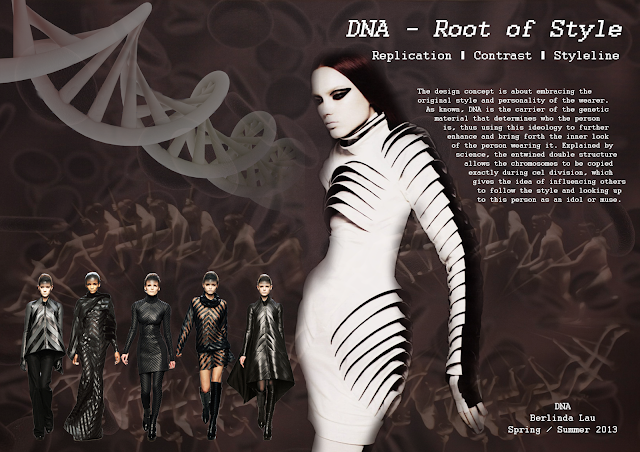 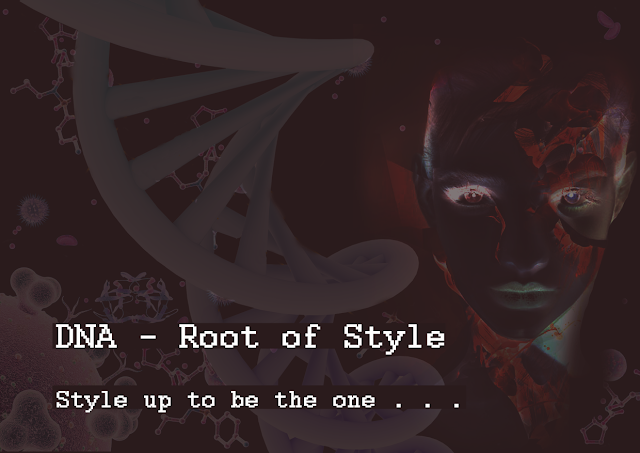 It also portrays bringing forth the personality of a person based on genes. 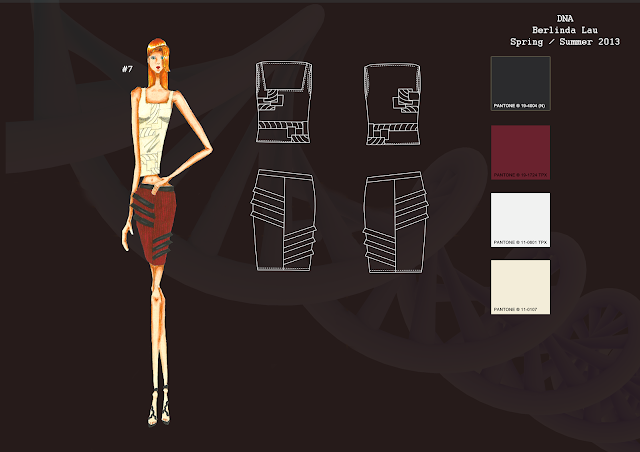 Colours are picked based on the image chosen from a DNA chromosome science model. 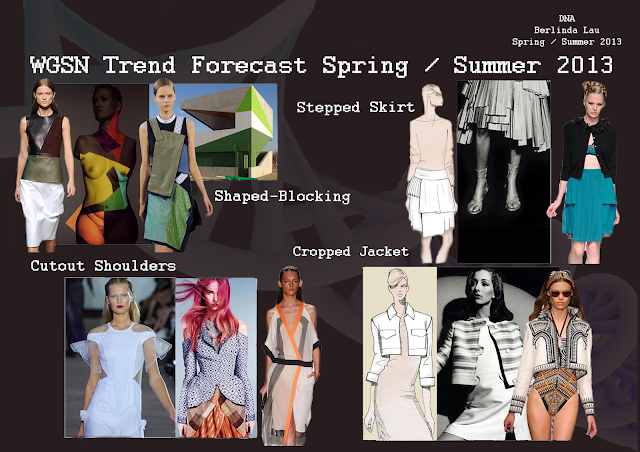 Following on are additional design elements input into the collection based on research from the latest fashion trends as well as Trend Forecast from WGSN. 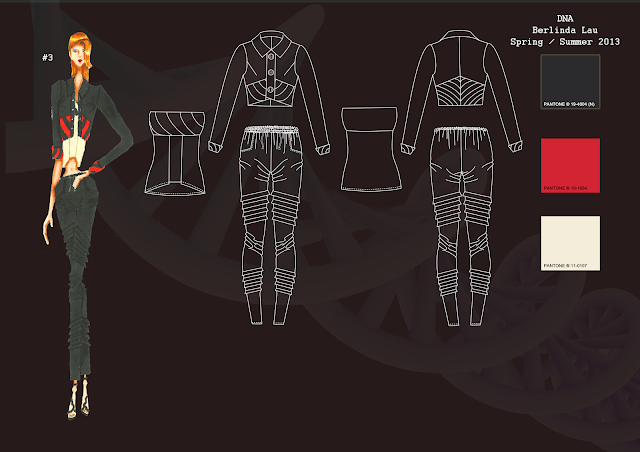 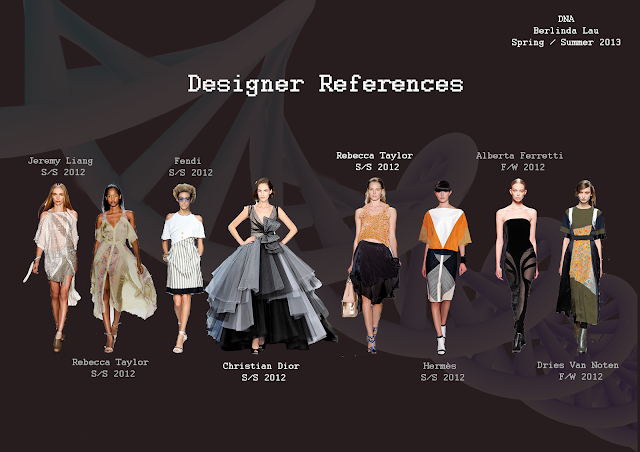 All research done are in reference to Spring/Summer 2013. 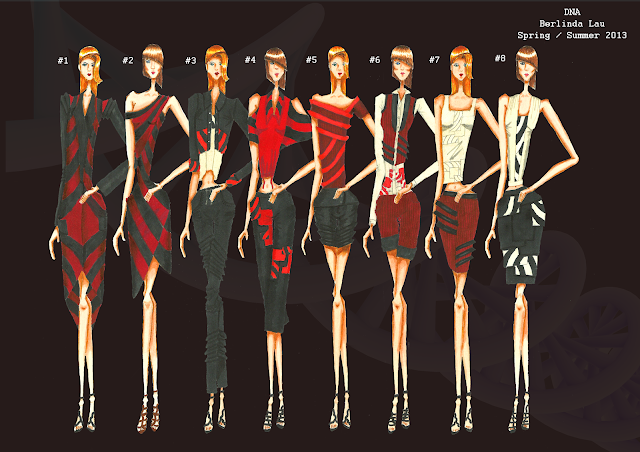 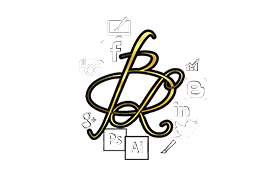 These above following are the technical flats for the graduation collection created in Adobe Illustrator and edited in Adobe Photoshop. 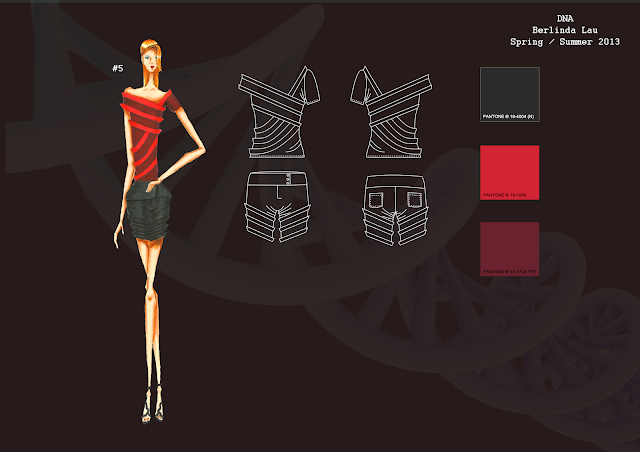 All the illustrations are hand drawn and rendered in Copic Markers before scanning into the laptop and touched up with Photoshop. 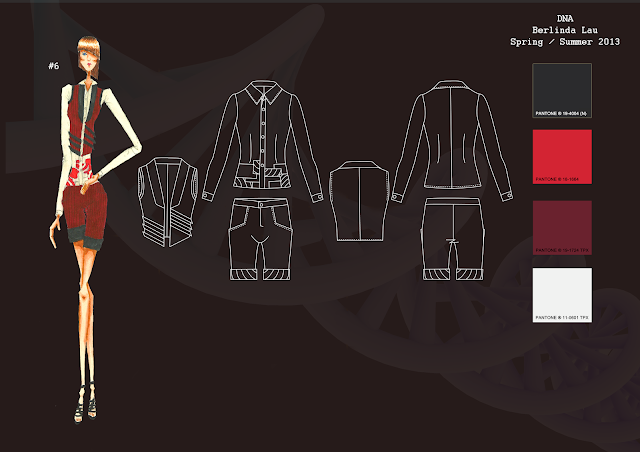 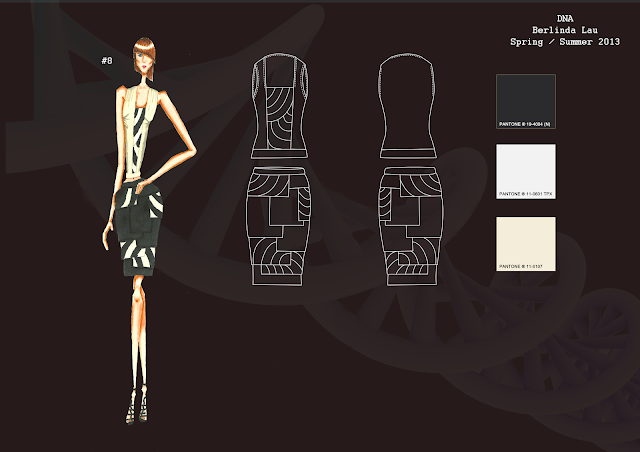 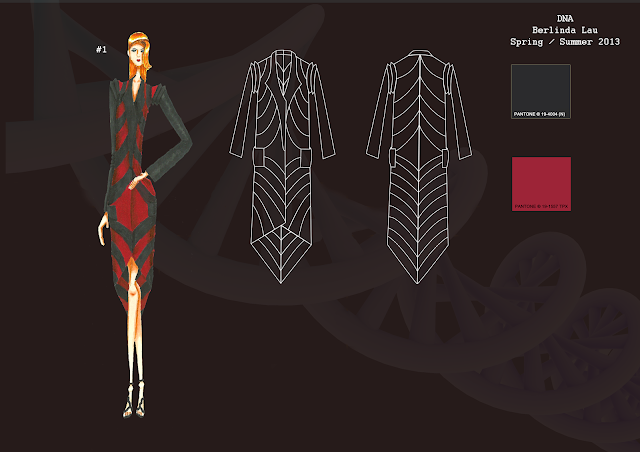 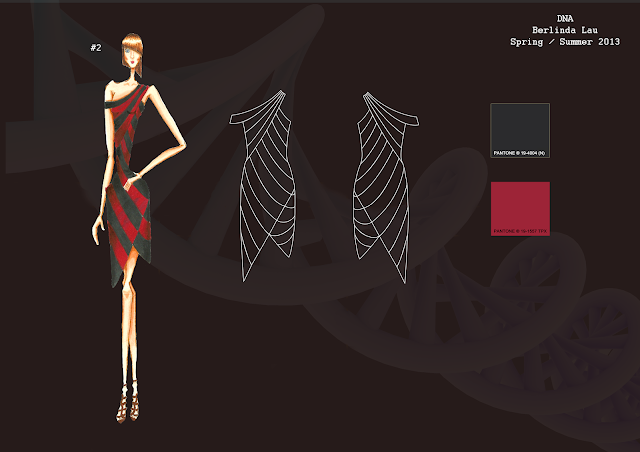 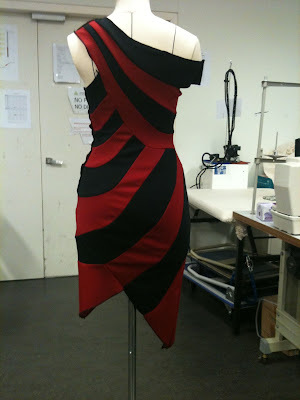 The last 4 images are photos of the actual apparel designed, a dress and a coat out of the whole eight pieces.